A diet low in saturated fatty acids and rich in wholegrains, vegetables and fruit is recommended in order to reduce the risk of obesity, cardiovascular disease and type 2 diabetes mellitus. However there is widespread interest in high-fat (“Atkins Diet”) and high-protein (“Zone Diet”) alternatives to the conventional high-carbohydrate, high-fibre approach. We report on a randomised trial that compared these two alternative approaches with a conventional diet in overweight insulin-resistant women. Ninety-six normoglycaemic, insulin-resistant women (BMI >27 kg/m2) were randomised to one of three dietary interventions: a high-carbohydrate, high-fibre (HC) diet, the high-fat (HF) Atkins Diet, or the high-protein (HP) Zone Diet. The experimental approach was designed to mimic what might be achieved in clinical practice: the recommendations involved advice concerning food choices and were not prescriptive in terms of total energy. There were supervised weight loss and weight maintenance phases (8 weeks each), but there was no contact between the research team and the participants during the final 8 weeks of the study. Outcome was assessed in terms of body composition and indicators of cardiovascular and diabetes risk. Body weight, waist circumference, triglycerides and insulin levels decreased with all three diets but, apart from insulin, the reductions were significantly greater in the HF and HP groups than in the HC group. These observations suggest that the popular diets reduced insulin resistance to a greater extent than the standard dietary advice did. When compared with the HC diet, the HF and HP diets were shown to produce significantly (p<0.01) greater reductions in several parameters, including weight loss (HF −2.8 kg, HF −2.7 kg), waist circumference (HF −3.5 cm, HF −2.7 cm) and triglycerides (HF −0.30 mmol/l, HF −0.22 mmol/l). LDL cholesterol decreased in individuals on the HC and HP diets, but tended to fluctuate in those on the HF diet to the extent that overall levels were significantly lower in the HP group than in the HF group (−0.28 mmol/l, 95% CI 0.04–0.52, p=0.02). Of those on the HF diet, 25% showed a >10% increase in LDL cholesterol, whereas this occurred in only 13% of subjects on the HC diet and 3% of those on the HP diet. In routine practice a reduced-carbohydrate, higher protein diet may be the most appropriate overall approach to reducing the risk of cardiovascular disease and type 2 diabetes. To achieve similar benefits on a HC diet, it may be necessary to increase fibre-rich wholegrains, legumes, vegetables and fruits, and to reduce saturated fatty acids to a greater extent than appears to be achieved by implementing current guidelines. The HF approach appears successful for weight loss in the short term, but lipid levels should be monitored. The potential deleterious effects of the diet in the long term remain a concern. Lifestyle modification offers the only proven hope of stemming the tide of the global epidemic of type 2 diabetes. Two randomised controlled trials carried out in Finland and the United States have demonstrated substantial reductions in the risk of progression of IGT to type 2 diabetes [1, 2]. In both studies the recommended diets were low in saturated fatty acids, and rich in wholegrains, vegetables and fruit, such that fibre-rich carbohydrate provided about 50% of the total daily energy intake, saturated fatty acids less than 10%, monounsaturated and polyunsaturated fatty acids about 20%, and protein the remainder. A similar diet has been shown to be associated with improved insulin sensitivity in normoglycaemic insulin-resistant individuals . In each of the trials, dietary recommendations were combined with advice to increase physical activity, and the improvements in insulin action and measures of glycaemia occurred in parallel with weight reduction. The macronutrient composition and recommended food choices of these experimental diets are virtually identical to the recommendations set out by various national and international bodies for the treatment of established diabetes [4, 5] and the reduction of cardiovascular risk in people with diabetes and in the population as a whole . Despite the consistency amongst official recommendations there has been widespread interest in alternative dietary approaches aimed at weight loss and the reduction of cardiovascular and diabetes risk. The most widely adopted are the Atkins Diet , a very low carbohydrate diet and the Zone Diet , a high-protein approach. Neither diet involves prescription of energy intake. While both diets clearly have the potential to help reduce excess adiposity, it is unclear as to whether weight loss can be sustained, whether there are adverse metabolic consequences, and whether the diets are suitable for long-term use in terms of palatability. High rates of loss to follow-up and consequent inability to analyse results according to intention to treat, restrict the number of clinically useful conclusions that can be drawn from the limited number of published trials [9, 10, 11]. To date, only one study has simultaneously compared both the Atkins Diet and the Zone Diet with a conventional high-carbohydrate, high-fibre diet , and the results of this were inconclusive due to the very high attrition rate. We report here the results of a randomised trial that compared the two alternative approaches with a conventional diet in a group of women considered to be at high risk of developing type 2 diabetes due to being overweight and insulin resistant. Five hundred women responded to local advertisements regarding this study, which was approved by the Otago Ethics Committee. A telephone interview identified overweight women aged 30–70 years who were not pregnant or planning pregnancy, did not have a major medical condition, and were not currently undertaking a formal weight loss programme or following a strict vegetarian diet. A 75-g OGTT was performed for 251 of the 314 potentially eligible individuals who were found to have a BMI >27 kg/m2 during a screening visit at which written consent was obtained, demographic details and medical history were recorded, and a blood sample drawn for fasting glucose, insulin, lipid profile, serum creatinine and liver function tests. 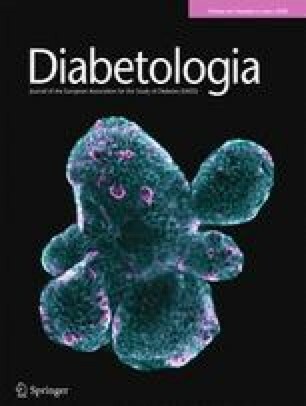 Ninety-six participants of European descent were eligible for randomisation to one of three groups by virtue of normal glucose tolerance , total cholesterol <7 mmol/l, creatinine <130 μmol/l, normal liver function tests and reduced predicted insulin sensitivity (insulin sensitivity score ≤6.3 G mIU−1 l−1) . Although ad libitum consumption was advised regardless of group allocation, the first 8 weeks of the study were intended to be a weight loss phase, with dietary advice reinforced during weekly reviews. Similar supervision continued during the weight maintenance phase (weeks 8 to 16). From week 16 to week 24, participants were asked to continue to follow their dietary programme, but there was no contact with the research team. None of the diets were formally energy restricted during any phase. As regards exercise, all three groups were advised to participate in 30 min of any activity on 5 days/week. This dietary programme was based on the guidelines described in by Atkins . There were no specific macronutrient targets except for carbohydrates. During the first 2 weeks of the 8-week weight loss phase of the intervention, participants were instructed to limit certain foods in order to consume less than 20 g of carbohydrate daily. Participants were provided with tables indicating acceptable foods, separating restricted and free foods, and foods which had to be excluded. During weeks 3 to 8 of the weight loss phase, carbohydrate was reintroduced by the addition of 5 g/day each week, so that a maximum of 50 g of carbohydrate per day was consumed by week 8. During weeks 8 to 16 (the supervised weight maintenance phase of the intervention) the principle of increasing carbohydrate intake from the specific food lists by 5 g/day each week was continued until each participant found the maximum level of carbohydrate consumption without weight gain. During the unsupervised follow-up phase of the intervention, participants were encouraged to consume the amount of carbohydrate that would help to avoid weight gain. The Zone Diet recommends that of the total energy provided by each meal and snack, 40% should be from low glycaemic index carbohydrate, 30% from protein and 30% from fat (predominantly monounsaturated) . Participants were advised to eat five times daily, with no more than 5 h between meals. The programme was presented to participants as a series of tables listing food types and serving sizes. Participants were advised to consume an appreciable amount of food from the protein table, to fill up with foods from the fruit and vegetable table, and to consume small amounts of items from the fats and oils table. A further table listed food items to be restricted to one serving per day. During the supervised weight maintenance phase, subjects were instructed to consume slightly larger portions of foods in the evening to maintain their body weight. During the unsupervised follow-up phase, participants were encouraged to continue consuming appropriate foods in quantities that facilitated weight maintenance. The nutrient composition of this diet was based on that recommended by Diabetes and Nutrition Study Group (DNSG) of the European Association for the Study of Diabetes (EASD) , and the diet was implemented using the national healthy eating guidelines, with slight modifications . These guidelines focus on the consumption of specific food groups in specified daily amounts and consist of the following: (1) at least six servings of breads and cereals (preferably wholegrains); (2) at least three servings of vegetables and two of fruit, with emphasis on those rich in soluble fibre; (3) at least two servings of low-fat milk or milk products; and (4) at least one serving of lean meat, chicken, seafood, eggs, cooked dried beans, peas or lentils (with legumes rich in soluble fibre especially encouraged). Advice to reduce dietary fat, salt and sugar intakes was also given. Each guideline was followed by a table containing serving sizes, healthy choices for that food group, and foods to be restricted as much as possible. During the supervised weight maintenance phase of the intervention, participants were instructed to consume slightly larger portions for their evening meal to maintain body weight. Similar advice was given for the unsupervised follow-up phase. Height, weight and waist circumference (at the midpoint between the anterior superior iliac crest and the lowest rib) were measured, and BMI was calculated. Blood pressure was recorded after 5 min of rest using random-zero sphygmomanometers, and a 75-g OGTT was performed, with fasting and 2-h measurements of glucose and insulin assessed . Fasting samples were also obtained for lipid measurements  and for assessment of high-sensitivity C-reactive protein (CRP) using a kit from Roche Diagnostics (Indianapolis, IN, USA) which had an intra-assay CV of 1.5%. A measure of body fat was obtained using an IMP5 Bioimpedance Analyser (Impedimed, Eight Mile Plains, QLD, Australia), with subjects in a fasted state after emptying their bladders and having refrained from alcohol and exercise for the previous 24 h . Participants were given scales to weigh food and asked to complete a 3-day dietary record. All measurements were made at baseline and during the final week of each of the three experimental periods. A difference in weight loss of 3 kg between the HC diet and either of the other two diets was considered to be of clinical importance. An earlier study  indicated that the root mean square error (an estimate of SD) for weight loss, adjusted for baseline values, was 4.5 kg. This is equivalent to an effect size of 0.66 or 0.70. Two samples of 32 subjects have the potential to detect this difference with 80% power using the 5% level of significance. A random allocation sequence was generated in blocks of nine. Sequentially numbered envelopes were used to assign participants to each group. There was no stratification. It was not possible to blind researchers or participants; however, the groups were designated by codes rather than actual names to minimise cross-contamination between the groups. The data were analysed according to intention to treat. Mixed models were used to analyse the data. The models included a random effect for each person and assumed an underlying variance–covariance structure because of the multiple measures for each person. These provided appropriate standard errors for the statistical tests. Baseline measures were included to adjust for any baseline imbalance. The models examine relative change by setting the groups equal on the first occasion, and are the recommended way of overcoming problems associated with regression to the mean . Although the tests between the two alternative diets and the conventional diet were planned a priori, an overall test for all three diets was also carried out to compare the alternative diets. The value of the test statistic was compared with chi square distribution with appropriate degrees of freedom. The results are not reported in detail if the overall test was not statistically significant. Values obtained for fasting insulin, CRP and liver enzymes were logarithmically transformed to stabilise the variance. The overall differences (with 95% confidence intervals) between each pair of diets, based on measurements taken at weeks 8, 16 and 24, are presented for each outcome. Interaction effects between diet and time were examined. The results are presented graphically as adjusted means. The data were analysed using the xtreg procedure in the STATA Statistical Software Package, Release 8.0 (STATA, College Station, TX, USA). A p value of less than 0.05 was regarded as statistically significant. Of the 96 eligible participants, 12 withdrew from the study (Fig. 1). Three withdrew after baseline measurements had been made, before the start of the dietary intervention, and were not included in the analysis. All three groups had diets of similar macronutrient composition at baseline (Table 1). The reported energy intake did not differ between the three groups at any stage of the 6-month study. The high-fat (HF) group met the week 8 carbohydrate target. Those on the high-protein (HP) diet did not meet the target protein and carbohydrate levels, as more energy was derived from total fat than intended. Those on the high-carbohydrate, high-fibre (HC) diet met the targets for total fat, but did not meet the targets for saturated fat, carbohydrates or fibre. Table 2 shows the differences between the three diets in terms of their macronutrient content. Compared with the HC diet, the HF diet was much lower in carbohydrate (−94 g, 95% CI −112 to −75) and fibre (−8 g, 95% CI −10 to −6), and much higher in total fat (+40 g, 95% CI 29–52) and saturated fat (+17 g, 95% CI 12–22). The protein intake of the HP group was 20 g (95% CI 11–30) higher than that of the HC group. The HP diet was also higher in total fat, the increase due to higher intakes of both saturated and monounsaturated fatty acids in the HP group. The HP and HC groups had similar fibre intakes. Although there were some differences in micronutrient intake between the three groups (data not shown), these differences were small, and average intakes were above or close to recommended levels. Table 3 shows the unadjusted mean values for the clinical and biochemical variables at baseline and at each time point. All three groups achieved an appreciable weight loss and reductions in BMI, waist circumference and fat mass that were maintained throughout the study (Fig. 2). Fasting triglycerides and insulin also decreased appreciably with all three diets. Systolic and diastolic blood pressures were modestly reduced. Blood glucose levels (0 and 2 h), creatinine, liver enzymes, CRP and the albumin/creatinine ratio did not change throughout the observation period. Table 4 shows the differences in the measured parameters between the three diets after adjusting for baseline differences. Compared with the control (HC) group, those on the HF and the HP diets lost a significantly greater amount of weight. Similar between-group differences were observed for waist circumference and fat mass. Diastolic blood pressure was significantly lower in the HF group than in the HC group (−3 mm Hg, 95% CI −6 to 0, p=0.03). Fasting triglycerides, although reduced by all three diets, fell to a significantly greater extent with the HP and HF diets than with the HC diet. Overall, LDL cholesterol was lower in the HP group than in the HC group. Levels of LDL cholesterol were increased by >10% in eight individuals (25%) in the HF group, four (13%) in the HC group and one (3%) in the HP group. Weight showed a significant time interaction. When compared with the HC group, body weight and BMI were reduced to a greater extent in the HF group than in the HP group at week 8. At week 16 the HF and HP groups showed similar reductions in these two parameters, whereas by week 24 the HP group showed greater reductions than the HF group. No significant differences were observed between the dietary groups with respect to systolic blood pressure, fasting and 2-h glucose, fasting insulin and CRP. This study is the first to compare two popular weight-reducing diets [7, 8] with the high-carbohydrate, high-fibre approach  in women at high risk of type 2 diabetes and cardiovascular disease. The high overall retention rate (88%) over a 6-month period allowed us to perform an intention-to-treat analysis. This has not been possible in many of the earlier controlled comparisons due to much higher dropout rates [9, 10, 11]. A further strength of this study is that it permits the assessment of the diets as they would operate in the real world, where total compliance with a dietary prescription is difficult to achieve. All three diets produced weight loss to an extent which might be expected to reduce the risk of type 2 diabetes  and cardiovascular disease . Compared with the HC diet, the HF and HP diets produced greater reductions in weight. Although subjects on the two alternative diets lost a similar amount of weight, the initial weight loss appeared greater in the HF group, whereas later in the study the difference was reversed. This may be explained by the early fluid loss that occurs on a low-carbohydrate diet . Other studies comparing a single popular diet with the conventional approach have also reported that greater weight loss is achieved with HF and HP diets than with HC diets [9, 10, 19, 20, 21, 22, 23], and there is much speculation regarding the mechanisms responsible for these findings . The majority of earlier studies in which macronutrient composition was altered against a background of constant energy intake reported no difference in weight change when HP [24, 25, 26] or HF diets  were compared with HC diets. Only when the diets were consumed ad libitum was a difference in weight loss apparent [9, 10, 23]. Although energy intake seemed to be restricted to a similar extent by all three diets in the present study, the results suggest that under-reporting took place. Three-day diet records are not sensitive enough to detect small differences in energy intakes (of approximately 500 kJ/day) which, over a period of months, could account for the observed differences in weight loss (about 3 kg) between the groups. It seems likely that greater weight losses observed when HF or HP alternatives are compared with HC diets (consumed without energy prescription) are the result of reduced energy consumption rather than the use of alternative fuel sources due to the altered macronutrient composition of the diets. Reduced energy intake on such diets may result from the novelty of a new diet, monotony due to restriction of accessible foods, or enhanced satiety or a reduced appetite due to the ketonuria that is associated with carbohydrate restriction. Concern has been expressed regarding the long-term safety of HF diets, particularly the potential for such diets to elevate total and LDL cholesterol . In this study, the observed increases in these parameters were less than expected, probably due to the concomitant reduction in energy intake and weight loss. Although LDL levels were not markedly increased by the HF diet, levels were significantly higher in the HF group than in the HP group, despite the fact that the two groups lost a similar amount of weight. Furthermore, the HF regimen produced a marked increase in LDL cholesterol in a small number of participants, suggesting that some individuals may be particularly sensitive to substantial increases in fat intake . Fasting triglycerides were reduced by all three diets, but more so by the two popular diets. Fasting triglycerides decrease with weight loss, and carbohydrate-reduced diets have been reported to produce greater reductions than HC diets. The results of energy-controlled studies [24, 27] suggest that carbohydrate restriction may in itself result in lower triglyceride levels; however, these studies were of short duration, and did not allow for adaptation to a HC diet. Furthermore, only when HC diets are derived from intact vegetables and fruit and wholegrain cereals is the full potential benefit observed in terms of lipid profile and glycaemic control . In the present study, participants on the HC diet achieved only a modest increase in fibre density, and thus did not receive the maximum benefit of such a dietary regimen. In accordance with a previous study , the HF diet produced a small increase in HDL cholesterol which was similar to that observed for the HP diet, but greater than that produced by the HC diet. During the first 8 weeks of the study all three diets produced a decrease in fasting insulin levels that was maintained throughout the study period. The observed improvement in key indicators of insulin resistance (central adiposity, hyperinsulinaemia and hypertriglyceridaemia) confirms that insulin sensitivity was improved by all three dietary regimens. The greater reductions in waist circumference and triglycerides observed in the HF and HP groups indicate that insulin sensitivity may have been improved to a greater extent by the alternative diets than by the HC diet. However, given that the aim in insulin-resistant individuals is to reduce the cardiovascular risk as well as to reduce the risk of developing diabetes, the observed effect of the HF approach on LDL levels suggests that the HP diet offers a distinct advantage. Furthermore, a HF diet has been linked to other potentially deleterious effects not measured in the present study, including increased risk of thrombosis and cardiovascular disease associated with insufficient intake of wholegrain cereals . Our data does not indicate that any of the observed benefits afforded by the HF and HP diets are a consequence of macronutrient composition; rather, they seem more likely to be secondary to the greater weight loss produced by these diets. The beneficial effects of the HP diet were achieved without full compliance. Protein and carbohydrate intakes in the HP group were lower than intended, and fat intake was rather higher. Many participants did not achieve the required meal frequency. Thus, it would seem that the most frequent criticism of the Zone Diet—its rigid adherence to meal timing, is not an essential prerequisite to successful implementation. Those on the HC diet did not meet the targets for carbohydrate and fibre intakes, and saturated fatty acid intake remained higher than intended. Indeed, subjects in the HP group were as close to achieving the HC targets for fibre intake as those in the HC group were. Given the high level of motivation of the volunteers, it seems likely that the guidelines employed to implement the HC recommendations were insufficiently specific. It is probably necessary to be more directional with regard to fruit, vegetables and wholegrain cereals, which must be consumed in order to achieve targets . A diet that achieves the target carbohydrate and fibre levels (by increasing quantities of wholegrains, intact vegetables and fruits) would probably provide a benefit similar to that afforded by the HP approach. In conclusion, the HF Atkins Diet is a successful short-term approach for weight loss; however, LDL levels should be monitored, and those who show a significant increase should be advised to discontinue the diet. The potential deleterious effects of the diet in the long-term remain a concern. In the context of this study the HP Zone Diet appears to be the most appropriate overall approach to reducing the risk of cardiovascular disease and type 2 diabetes. We would like to thank all of the participants: G. Henshaw, who was the study dietitian; M. Harper and A. Duncan, who undertook most of the laboratory analyses; and R. Brown who provided technical assistance. We would like to thank the Health Research Council of New Zealand for funding this project. The authors are not aware of any conflict of interest in this study.